Heroes will die. Villains and heroes will form allegiances. Empires will fall. 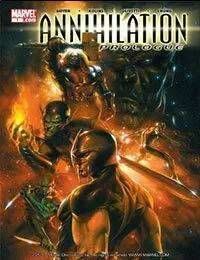 Featuring: Nova, Silver Surfer, Thanos, Drax The Destroyer, Ronan The Accuser, and the Super-Skrull!